Critical Illness insurance lets you take time off when you need it. 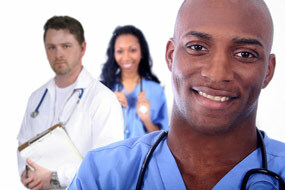 It also provides money to seek the advanced medical services that may save your life. Provides a one-time, lump sum tax-free benefit upon the diagnosis and survival of any of the insured illnesses listed in the policy (must survive 30 days). You decide how to use the money. Basic coverage is always included (insures against the three most common major medical events: heart attack, stroke, and cancer). Optional comprehensive coverage insures up to 21 other major medical events. Premiums are returned in the event of death. Available as a stand-alone policy or combined with a life insurance policy (as a critical illness insurance rider). Available as level benefit 10 year term, term to 65, term to 75 and term 100. Also, available in decreasing benefit term 10,15,20 and 25 to match loan duration. Return of Premium rider is optional. This feature will allow you to receive premiums back if you don't make a claim after 10 years or by age 75. Access and pay for medical services. Pay off the mortgage or other debts. Allow your partner to take time off during your recovery. Pay for private nursing care. Modify your home to have better mobility. Medical expenses incurred on account of a critical illness can be staggering. Up to 70% of cancer treatment drugs are deemed experimental, and thus are not covered by government plans. You can use the insurance money to bypass hospital line-ups and receive immediate treatment. 1 in 2 heart attack victims are under the age of 65. 50,000 Canadians suffer a stroke each year. Sixty percent of all stroke victims will be left with a disability. 1 in 3 Canadians will develop a life threatening cancer. 132 000 Canadians per year are diagnosed as having cancer. 63% of Canadians say that we should be able to buy upgraded medical services. Many drugs used in the treatment of cancer are considered "experimental" and are therefore NOT covered by provincial medical plans. 1 in 4 Canadians will suffer from kidney disease. The average age of claim on critical illness insurance is 43. Critical illness insurance is available in two forms: basic and comprehensive. Basic insurance covers heart attack, stroke and cancer only. Comprehensive coverage covers heart attack, stroke and cancer, as well as up to 21 additional illnesses. The concept of critical illness insurance was developed by the world famous heart surgeon, Dr. Marius Barnard, who saw a need for a plan that paid a "living benefit" to his patients because they were going to live, not because they were going to die. To use Dr. Barnard's own words while on a speaking engagement in Victoria, British Columbia (May, 2001), "One of my patients lived for 28 years with his new heart. You know... he never complained about his health. His only complaint was money! The life insurance 'promise' to financially look after the family when he dies was taken away from him. He didn't die! The promise was no longer true. Times have changed. The old promise is not always enough. Look at critical illness insurance as a new or additional promise that you and your family will be looked after when you survive a critical illness."